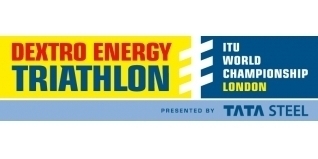 With the 2011 Dextro Energy Triathlon ITU World Championship Series London just days away, here is a look back on the 2010 edition - and what better way to do that than through our massively popular GE triVIEWER application. GE's triVIEWER brings triathlon results to life, on screen by allowing competitors to visualise their race and compare their performances against the field, friends… or even opponents! Here is your chance to re-live the race from your computer. 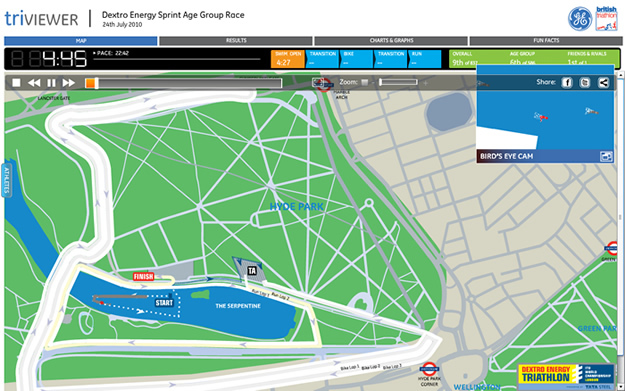 triVIEWER+ is our enhanced version of the fantastic triVIEWER tool (find out more HERE), and allows you to replay the races against a map of the actual Hyde Park course maps! And early next week we'll be bringing you triVIEWER+ from the 2011 edition of the Dextro Energy Hyde Park events too.